All aboard the 9.1.x CD train. First stop is IBM MQ V9.1.1. I am sure everyone knows the phrase about buses. If you miss one, don’t worry. There’ll be another one along in a minute. And while it could be said that applies to Continuous Delivery releases, I think it is more like getting on board a train. The destination is the next Long Term Support release, and you think you know what stops will be coming up. But maybe you don’t know exactly what you will find at each destination. You know there will be something new to discover at each stop. You could almost think of the train growing at each stop with the content of each new continuous delivery release, ready to be delivered finally to the Long Term Support destination. Which brings us to the latest MQ CD release, MQ V9.1.1, announcing today, which is the first CD release in the 9.1.x set of releases. The experience we have of our 9.0.x CD releases is that we have seen a lot of interest from customers. Some have been able to move quickly to take up the CD stream into their environments and run them in production, at least for some of their queue managers. Others have been able to experiment with the new features in their test environments to see whether it is worth their while adopting the content early. And there seems to be a larger set of users who, while they haven’t been adopting the CD content into the production systems, the earlier availability and visibility of the new content has helped them move much more rapidly to adoption and use of the MQ V9.1 LTS release than we might have previously expected. I have personally talked with a lot of existing MQ customers who have either already started using MQ V9.1 LTS or are planning to move to use it very shortly. The MQ V9.1.1 release isn’t a destination in itself. It is the first part of our continuing journey. The MQ team works to accommodate a mix of strategic development priorities into releases to move the MQ offering forward, as well as other customer driven priorities, and reacting to and supporting other offerings and platforms as they change and adapt. Let’s find out how this mix has shaped the release. As well as suggesting you read the announcement content in the announcement letter, I will call out a few of the interesting new features. One important new set of capabilities, driven by customer requests, is around the choice and negotiation of the use of TLS ciphers. Security of the MQ environment is hugely important in the current environment and is likely to remain a key area of focus. The importance of security and data protection is one reason customers are moving to MQ Advanced or MQ Appliance as a way to get the end to end encryption in MQ AMS. But this release focusing on enhancement to the security used in the TLS ciphers – used for encryption on the wire, not encryption at rest. As time passes, some ciphers become less secure and customers need to take prompt action in their environments to ensure the ciphers they use are updated to meet their own business requirements as well as the needs of the different systems. In MQ v9.1.1 the choice of ciphers can be negotiated dynamically from a set or ‘whitelist’ available on each MQ channel. This reduces the potential for downtime and administrative overhead through faster movement to new ciphers when an old cipher is deprecated. Weaker ciphers can be removed from the list of allowable ciphers without needing to wait for a security fix update from IBM. Another update driven by customer requests is the new support in MQ V9.1.1 for .NET Core for Windows. Customers who choose .NET as a framework for running applications on Windows environments have been looking to move to .NET Core. Following a number of requests, we have now added support for .NET Core for Windows environments to help support those customers. As we have seen in the 9.0.x CD stream, one of the important set of capabilities that was added was the REST API for Admin for MQ. And at the end of that set of releases we started to look at adding REST API calls for the administration of MQ Managed File Transfer features, available with MQ Advanced and MQ Appliance. Many customers find it value to ingest and move data through MQ, even when the starting point or destination for this data is a file on the file system. To MQ, it is all just data moving in MQ messages. Therefore, from an administration point of view, it is important to offer similar features and controls for managing the movement of this data through MQ as is available for MQ exchanges of application data. In MQ V9.1.1 the MQ MFT feature gains REST API calls to list the resource monitors as an alternative to previous methods. A further update is to provide support for pausing message delivery to Message Driven Beans running in WebSphere Liberty, in addition to the support previously made available for WebSphere Application Server. The MQ V9.1.1 release offers a good foundation to start the journey through the various 9.1.x CD releases. There was a mix of updates driven by customer needs, wider platform and offering support as well as some functions to enhance longer term MQ strategic plans. We are now pulling out of this station and heading to the next one. Hitch up the V9.1.1 wagon to your V9.1 MQ train, hop on board and enjoy the ride. The Paradox of Choice – the best Managed File Transfer solution? We all know the feeling – you are shopping, maybe for some food. You have a vague idea of what you want until you are confronted by reality – dozens or even hundreds of different options. Which is better for you? Which will better meet your needs? It becomes harder to make a choice if there are too many choices. When I am out for dinner at a restaurant I suffer much the same dilemma. 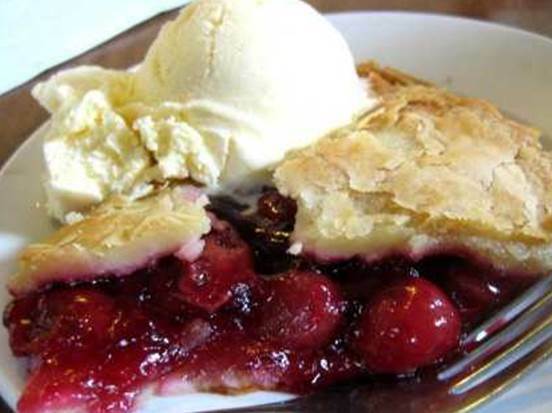 I love Cherry Pie for dessert, but what about the refreshing creaminess of Ice Cream? It might seem a simple choice but it would be easier to make a decision if the menu was more restricted. 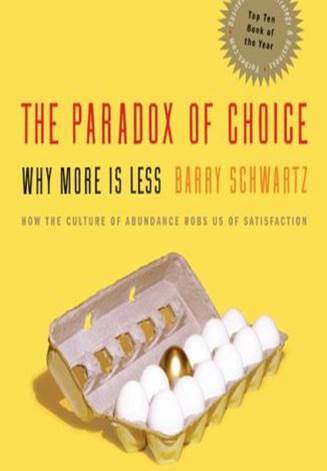 This was explored in a very interesting book by Barry Schwartz called ‘The Paradox of Choice – why more is less’. I highly recommend a read of it. This applies quite widely in other areas. Take for example how you want to deal with files in your business. Let’s face it; you have files, filled with business critical data, on every system in your enterprise. And you need to move the files, or at least the data inside them, across your enterprise to consume the data elsewhere. So you plan to move them, only this creates your first dilemma – should you use simple FTP even though you know it can be unreliable and insecure, and you never really know what happens to your files. Or should you use a managed file transfer solution? Well hopefully, your business cares about the files and the data enough to look at a managed file transfer solution. After all you don’t want to create a management and security headache when trying to move the files, and you certainly don’t want to troubleshoot what has gone wrong every day, and maintain hundreds of FTP scripts. So you want a managed file transfer solution – but which one? This opens up a whole different solution set. Do you want a bespoke solution, dedicated to file transfers, or one that is maybe multi-tasking – perhaps a function built out from another piece of infrastructure that might be more adaptable for some of your use cases, even though the dedicated solution looks good for other use cases? IBM Sterling Connect:Direct, a market leading managed file transfer solution with years of expertise as a dedicated offering in this space, with a secure protocol and purpose built tooling to provide all a business needs when moving files, extended with IBM Sterling Control Center for event based monitoring of file transfers. Looks good for a dedicated solution. IBM MQ Managed File Transfer, an extension to the widely used IBM MQ messaging middleware offering. This also provides file transfer, moving the files as messages over MQ, but also allows not just file to file transfer but also file-to-message and message-to-file transfers which can help the business make faster use of the data being moved. A highly adaptable solution, but also supported by IBM Sterling Control Center as a management and monitoring dashboard. So even from IBM you would need to make a choice, even though you could probably adapt both offerings to meet your needs. But it would be nice to not have to choose, but to use whichever offering was best for any particular use case. On March 11th 2014, IBM announced that it was solving this dilemma of too much choice by combining the two offerings of IBM Sterling Connect:Direct and IBM MQ MFT, and also including IBM Sterling Control Center. Now there is just one solution to buy for Managed File Transfer. And when you buy it you don’t have to choose which to use, as you get entitlement to both offerings included, as well as Control Center. No more choosing between Cherry Pie or Ice Cream, as you can have both. A smaller number of choices in this case is definitely better. You can read more about this offering in the announcement letter here. Dig in.